The single biggest reason why I aspire to an ayurvedic routine is because it all makes such absolute perfect sense. Ayurveda is the science of life, the knowledge of how to achieve and maintain perfect health. Originating from the ancient vedic knowledge of India, it is the most comprehensive system of health care in the world today. To call it holistic would be selling it too short because ayurveda is so much more. Yes, it's about mind, body and spirit; but it's also about putting those in context with one's constitution, time of day, season, lifestyle and stage of life. Maharishi Ayurveda clinicians offer blissful treatments and therapeutic herbs, combined with seasonal cleansing preparations and simple daily routines that are nothing short of life changing and I know because I've had the pleasure of experiencing them all. Food is medicine in the ayurvedic lifestyle and balancing the constitution is key. But the single biggest reason why I aspire to an ayurvedic routine is because it all makes such absolute perfect sense. 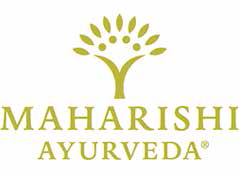 Maharishi Ayurveda don't have the market cornered on ayurvedic knowledge, but they do have the purest, most sattvic formulations, prepared in the time honoured vedic tradition. Why compromise?